Whether you are looking for cute and flirty or sleek and elegant cocktail dresses, Hannah S features an array of styles that are perfect for homecoming, prom or any soiree that requires the perfect "little black dress". A vital part of any girls wardrobe, Hannah S provides elevated short dresses that are superb for winter formals or even a great option for a sweet 16 dress. If you want to opt for a sweet short style, Hannah S homecoming dresses are made in a variety of colors with plenty of embellishments that will definitely make a statement. Hannah S showcases dresses that sparkle, flowing chiffon pieces , and sassy tulle skirts. 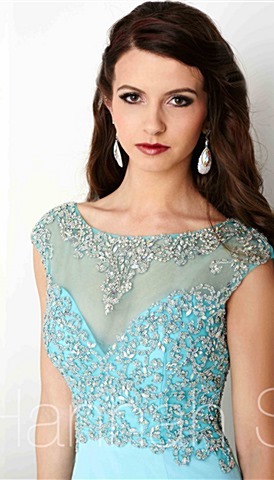 Set yourself apart from the crowd at your next special event with a fashionable Hannah S prom dress.